Supports iPads with 8-pin lightning connectors, (the smaller connector). These are Apple iPad 4, iPad Air, or iPad Air 2. The unit comes with the iPad Air tray installed. For the iPad 4 or iPad Air 2 you need to remove the 4 screws and change the tray. 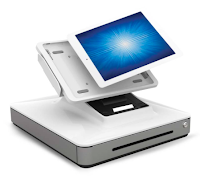 Base station does not support iPad Mini or iPad Pro. 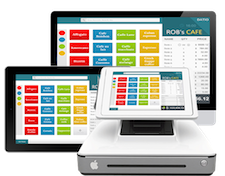 Download the App by searching for Datio POS in the Apple App Store or contact us at our support email address and we will send you a link to download the App. 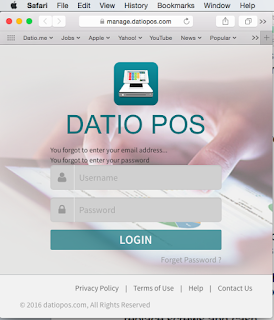 Start the Datio POS App. Sign up and enter your email address. You will receive a verification code in your email. Then enter the code and fill out the registration form. You are now ready to accept cash sales, call Vantiv to set up credit cards. You can now start to use the register. Click + to Add Item, enter price and save to cart. Or give the item a name and price and save it for next time. 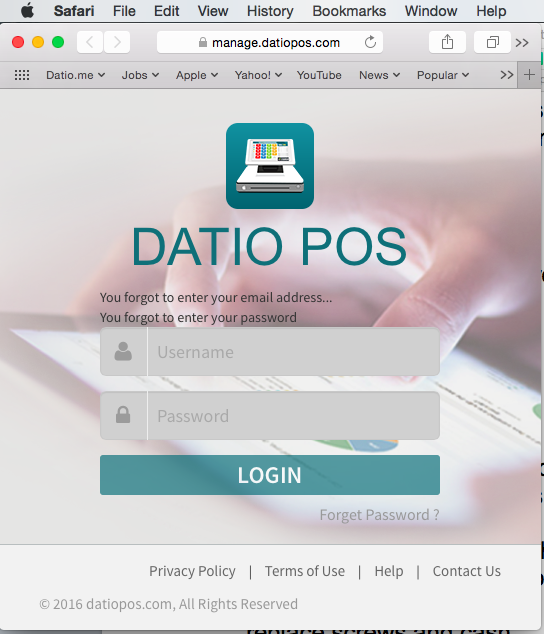 You can manage your business from your laptop or iPad by going to manage.datiopos.com. You can manually open the cash drawer with the white small slide switch under the unit. You can lock in the iPad by tightening the security screw. To screw the Base Station to the counter, remove the cash drawer, remove the two screws facing you, and slide off the mounting bracket. Screw to counter, slide back and replace screws and cash drawer. Flip the head toward your customer to let them slide their credit card and complete the sale. Or you slide the credit card and then flip to let them complete the sale. Use Extra to set up taxes, you can set up 5 different taxes. Use Extra to enable tips under Payment Options. To do a refund, click Extra then Transaction list, search or pick the transaction, then hit return, and pick the items to return. Use “+” to increase item quantity and “-“ to decrease it. If item quantities are decreased to zero, the item is deleted. Want to delete the complete cart? Swipe to the right on the total, cart is cleared.